As the nights are drawing in and Christmas is rapidly approaching I am definitely craving more of those comfort food and especially if they have a little spice thrown in with the dish too. Spices in food don’t necessarily have to be hot, as in some of the Indian, Chinese Sichuan and Thai food. Middle Eastern dishes and Moroccan food often use a wonderful blend of herbs, seeds and spices which create a delicious aromatic flavour to their food. 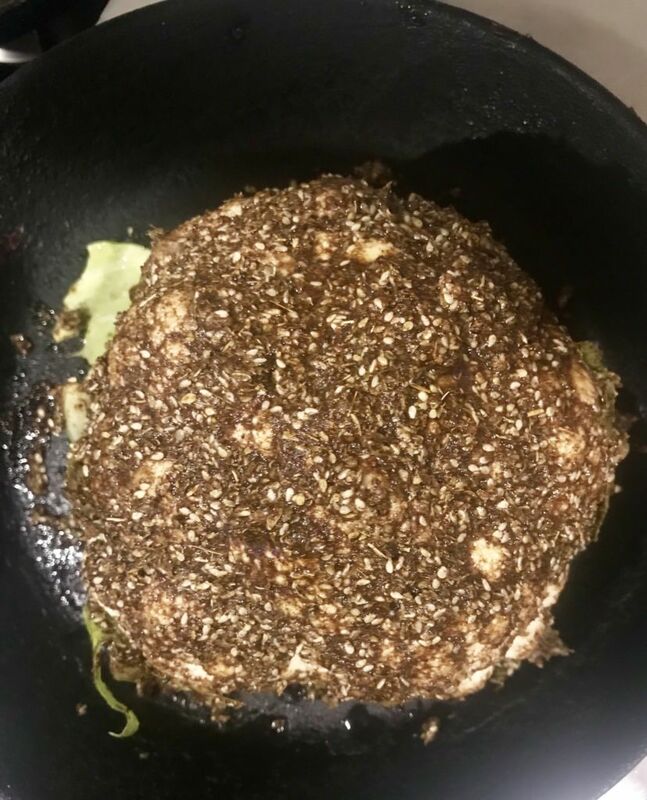 Zaatar is just one of those wonderful spice mixes; a fabulous blend of sumac, sesame seeds, thyme or sometimes oregano and salt. 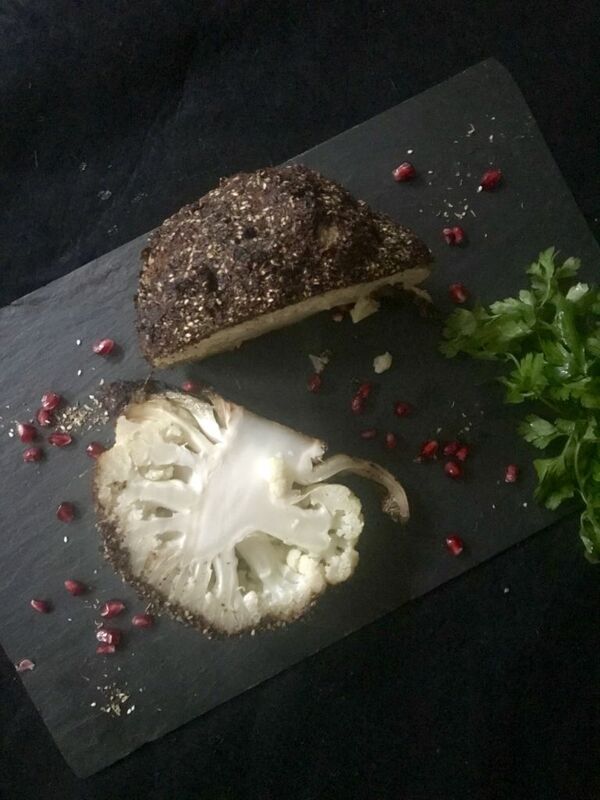 You can sprinkle it over chicken or add it to yogurt for a tasty dip or as I’ve done in the recipe mixed it with some garam masala and roasted it in the oven. The cauliflower tastes fabulous warm on it’s own or wrapped in a flat bread with a little yogurt. Any leftover is also delicious cold with a little pomegranate molasses and sesame oil drizzled over. The zaatar is really easy to make but if you’re in a rush you can easily pick up some from most good supermarkets. Mix the spices with the olive oil, adding just enough oil to make a thick paste. Spread all over the cauliflower and place in an oven proof dish. Roast in the oven for 20 minutes. After 20 minutes the herby mix should be crispy golden. 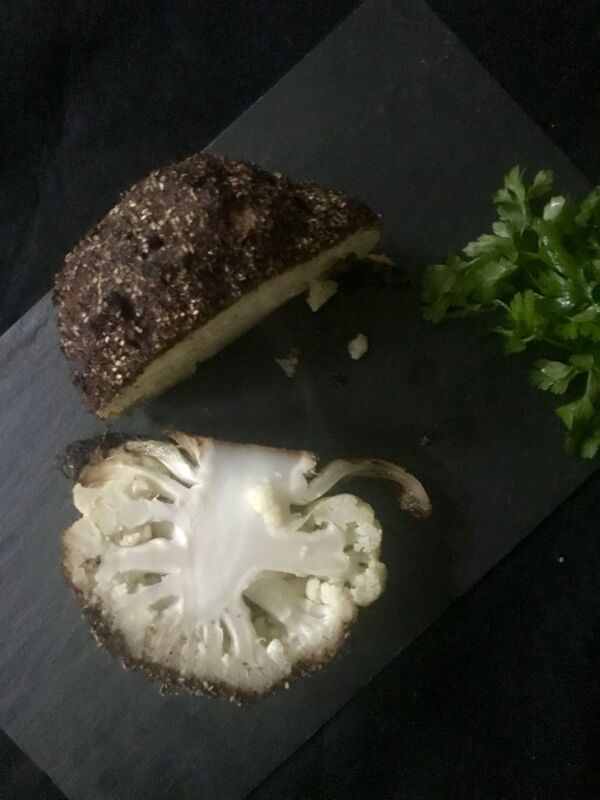 Pour 1/3 cup of water into the bottom of the dish and lightly cover the cauliflower with foil and place back in the oven and roast for another 20 minutes. 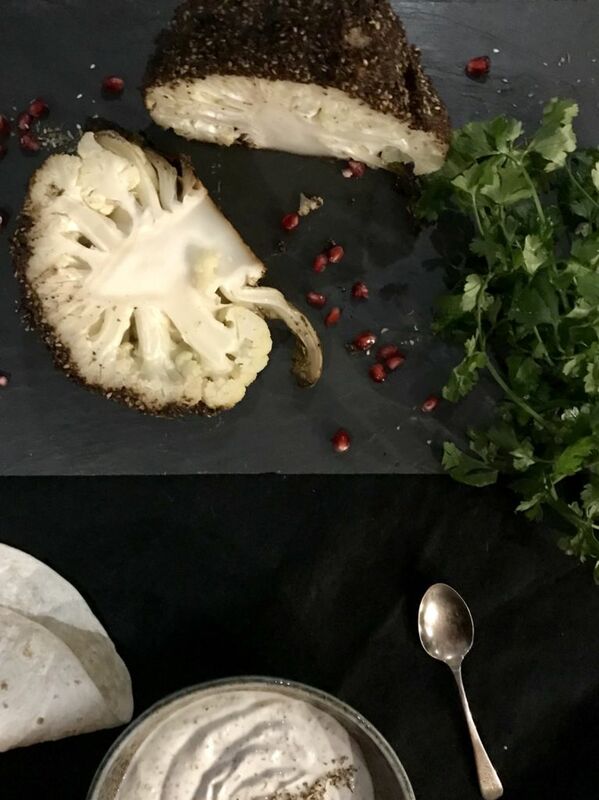 After 20 minutes remove the cauliflower from the oven and serve with some yogurt mixed with a little more zaatar and warmed flat breads. Toast the sesame seeds in a dry pan till they just begin to change colour then mix all the ingredients together and store in a glass jar for up to 2 weeks.